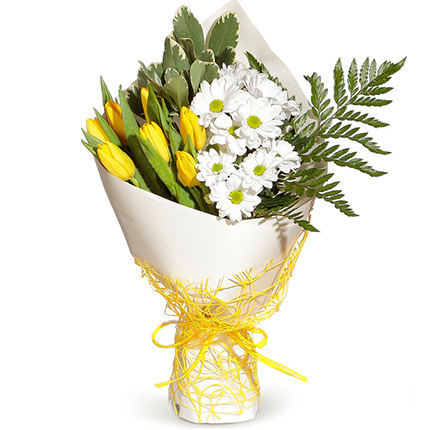 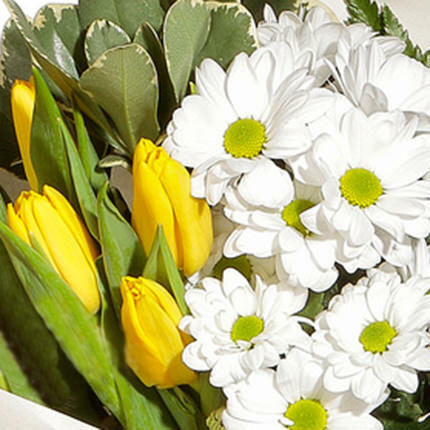 Enjoy the beautiful lady with such a sunny and truly spring bouquet! 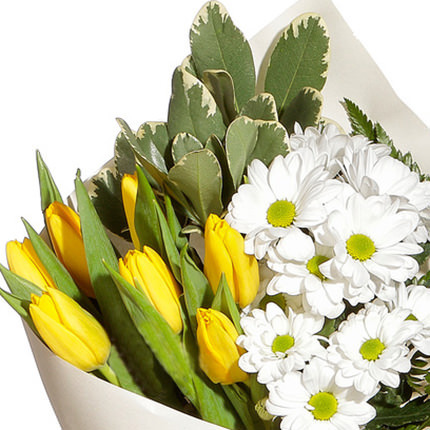 Composition of the bunch: 7 yellow tulips, white chamomile chrysanthemum branch, greenery, decoration. 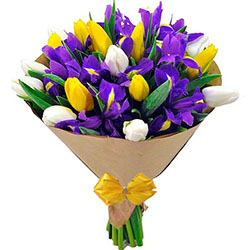 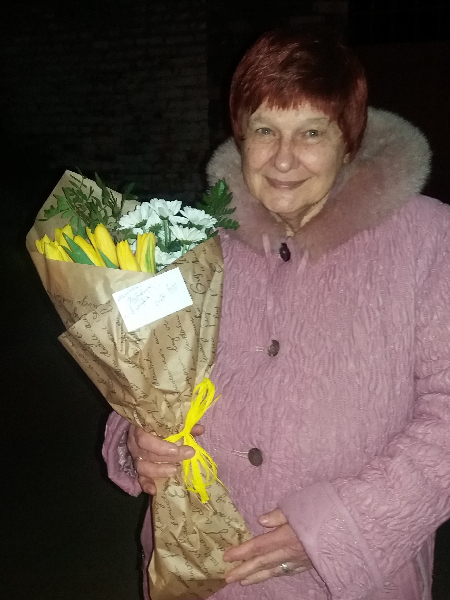 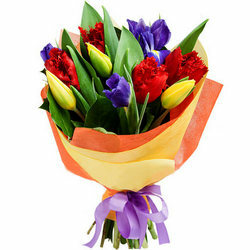 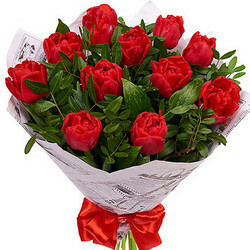 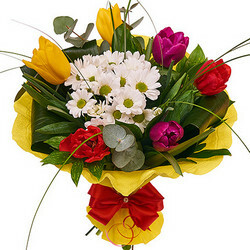 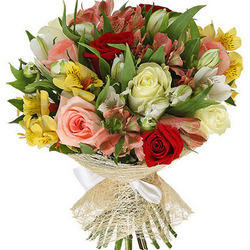 20032019 © Flowers.ua Bouquet "Compliment for a sweet lady"